Breaking Corporate Silence is the first extensively researched book that shows the causes and consequences of silence and voice in organizations. Corporate Silence exists when employees willfully withhold important work related information. It can have devastating consequence when it spreads through organizations. In today’s turbulent business environment, best leaders need the ability to stimulate new thinking, transfer knowledge at lightning speed and innovate, all of which requires a Culture of Voice. 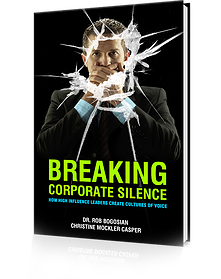 Breaking Corporate Silence provides diagnostics and practices that every leader can master to create and sustain a healthy culture of voice. Cultures of Silence can stifle organizational learning, operational efficiency, innovation and reduce competitive advantage by restricting the amount and flow of information. Creating a risk free Culture of Voice is every leader’s responsibility. RVB Associates has the groundbreaking solution to eliminate Cultures of Silence and shape Cultures of Voice. Let RVB Associates help your organization develop its most valuable assets – your workforce and your culture. 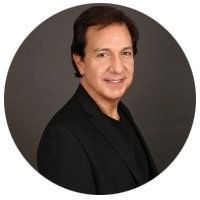 Rob Bogosian is the founder and principal at RVB Associates, Inc., and has been featured in Business Insider, Entrepreneur Magazine, CNN Money, Fortune, CEO Magazine, San Francisco Chronicle and more. The firm offers a range of consulting services focused on linking management and leadership development to business strategy. Dr. Bogosian’s extensive research on corporate silence in work group settings is the first of its kind and identified the causes and consequences of silence and voice in organizations. Rob’s twenty-five year career in global leadership and organizational development involves the development of high-influence leaders capable of shaping and leading in cultures of voice. Why did General Motors management avow they did not know about the multi-year festering ignition problem? Why did V.A. employees in internal documents “portray a culture of silence” based upon fear of retaliation? These “Cultures of Silence” resulted in substantial loss of productivity, revenue, trust and even loss of life.